The much-loved classic tales of Ratty, Mole, Badger and Toad. When Mole goes boating with Ratty instead of doing his spring-cleaning, he discovers a whole new world. As well as adventures on the river and in the Wild Wood, there are high jinks on the open road with that reckless ruffian, Mr Toad of Toad Hall. Ratty, Mole, Badger and Toad become the firmest of friends, but after Toad's latest escapade, can they join together and beat the wretched weasels once and for all? 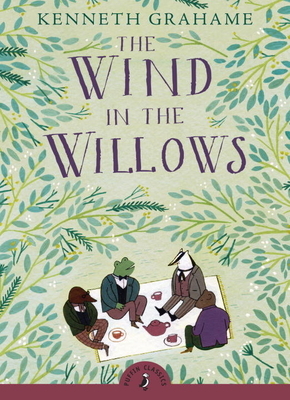 The Wind in the Willows by Kenneth Grahame is one of the twenty wonderful classic stories being relaunched in Puffin Classics in March 2015. Kenneth Graham (1859-1932) was born in Edinburgh, but grew up with relatives in Berkshire where he developed his love for the countryside surrounding the upper parts of the River Thames. He was educated at St Edward's in Oxford, but instead of going on to Oxford University he joined the Bank of England, where he rose to become Secretary. He wrote several books including The Golden Age and Dream Days which includes the short story 'The Reluctant Dragon' (later made into a Disney movie). Kenneth Grahame developed the character of Toad in The Wind in the Willows to amuse his young son, Alistair. It was published in 1908 and still remains a best-loved children's classic.